Each month, EA creates a series of challenges around the current Player of the Month and adds them into FIFA 19. Each POTM SBC has different requirements, focusing on a different aspect of the player's career. This could be anything from teams they scored against, to teams comprised of players in the appropriate national squad. 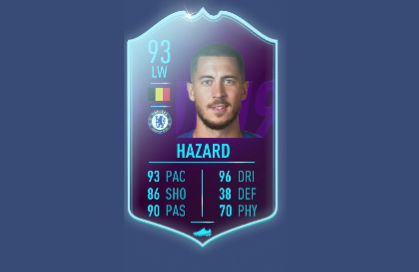 In this FIFA 19 Eden Hazard SBC Guide, we'll detail all of the requirements, solutions, and rewards for each of the POTM SBCs. Let's dive right in. For more on FIFA 19, be sure to head over to our FIFA 19 Guides Hub. It’s got everything you’ll need to become the very best FIFA 19 player you can be, including tips on goal scoring, taking free kicks, and more. Great news Chelsea fans, Eden Hazard is the FIFA POTM for September. As such, there are some Eden Hazard SBCs to beat, and there are a fair few this month. We've detailed each one below, listing the requirements, rewards and solutions. Be sure to take a look and see if you can solve any of them. The first challenge you'll want to take on is the Belgium challenge. It tasks you with exchanging a squad made up almost entirely of players from the Belgium squad. You'll need 9 Belgians, and also a TOTW player, let's take a look at the other requirements. The Finisher SBC has you exchanging a squad featuring high profile players. Here are the requirements. 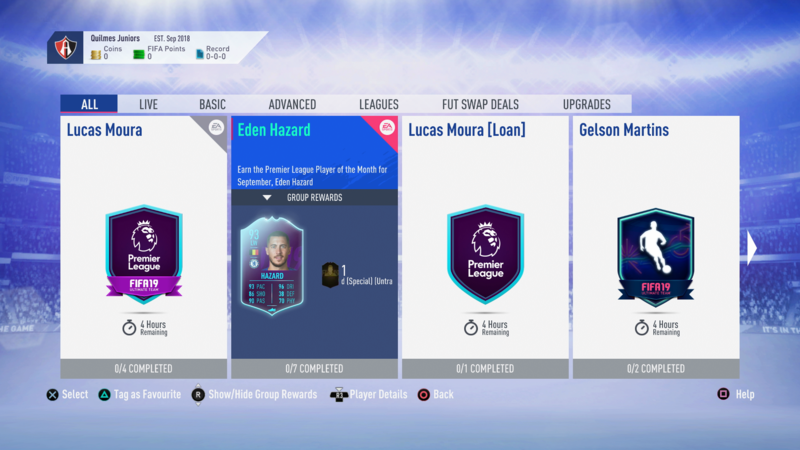 Finally, we have the Eden Hazard POTM SBC. You'll need to exchange a squad built around the September POTM winner, Eden Hazard. Here are the requirements.